After conditions of mass violence, spatial rebuilding processes take on added significance as restorative projects with exceptional challenges. This is the premise of my dissertation, which explores how Rwandan state peacebuilding objectives are imagined, realized, and challenged in the rebuilding of houses and civic spaces after the genocide. 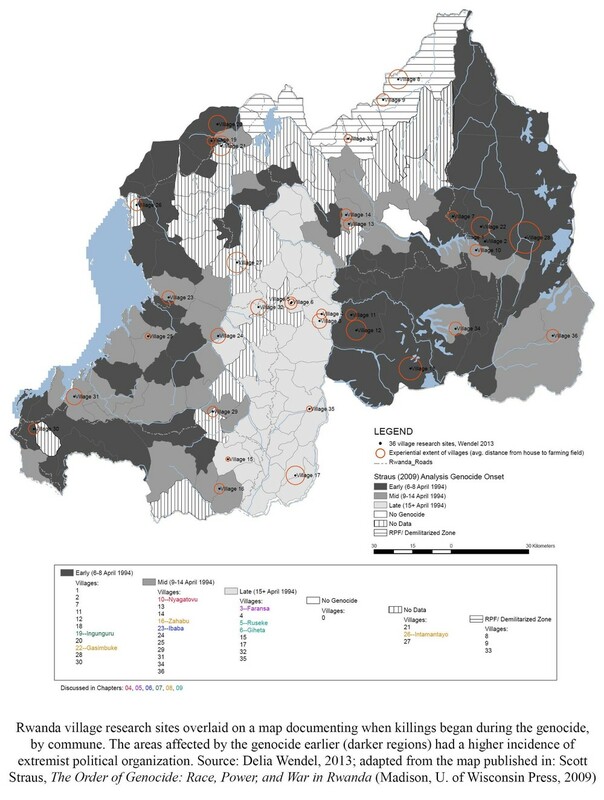 A spatial perspective is especially critical in Rwanda, where conflicts build from extreme population density, land shortage, rural restructuring, and cohabitation. After the genocide, spaces have added significance not only in contrast to the aftermath landscape and its memory, but for their explicit roles in how villages are shared and communities rebuilt, how the government has established order in the built environment, and limited citizenship through spatial exclusion. Drawing from ethnographic and historical research, nine chapters explore how villages, memorials, architectural aesthetics, and fictional spaces build and dismantle peace, unity, and progress. The dissertation aims to identify how spaces reveal the unethical, give form to values and subjectivity, and mark sites of inequality and aspiration in post-genocide Rwanda.